TIJUANA, Mexico, July 8 2011 – Argentinean Priscila Bosio was selected the Most Valuable Player of the inaugural U-18 Girls’ Volleyball Pan American Cup won by her side in a five-set battle on Friday night. 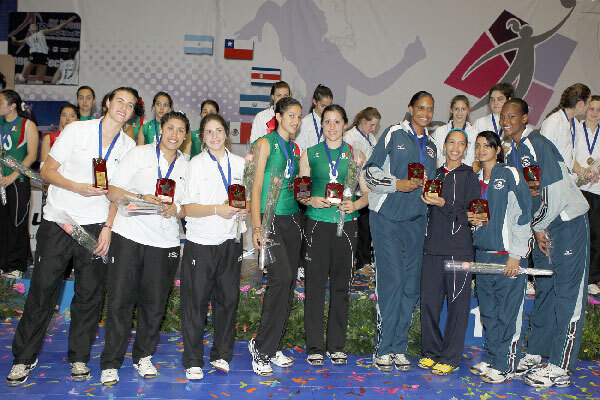 Two other Argentineans –Graciela Allende and Jazmin Molly- received plaques as best setter and receiver respectively in the eight-team competition. Mexicans Samantha Bricio and Alejandra Isiordia were among the athletes who received individual recognition during the closing ceremony. Bricio was the best scorer and Isiordia Best Server. Dominican Brayelin Martinez was named the best spiker and teammates Winnifer Fernandez and Luz Divina Nuez were selected best libero and best blocker respectively. Puerto Rico’s Dianise Rodriguez finished as best digger.